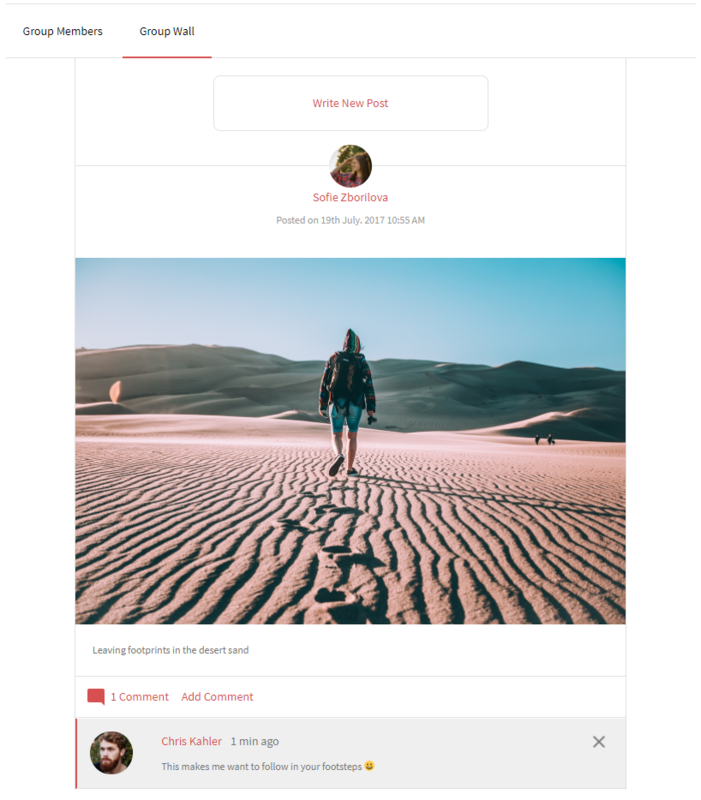 Make your membership site more interactive and allow user to submit post and upload media on a Group Wall so that users of each group get to communicate with each other. A membership site offers the advantage to create a common platform for users where they can interact with each other. New ideas flow helping your site to grow when your members communicate. If you allow user to submit post and upload media from their profiles, your site gets a dynamic feel. They will share their interests, develop new topics, post blogs that eventually will invite more people to your site. This way, you can create a professional community site taking in registered users. Or, you can even build your personal space to interact with like-minded people from all over the world. There, you can allow user to submit post and upload media for the sake of knowledge sharing. Various online businesses allow user to submit post and upload media to maintain their credibility. When users get the liberty to post reviews on your site, your business gets a loyalty boost. Having said so, let’s start the process to allow user to submit post and upload media with ProfileGrid. This WordPress user groups plugin is the one to swear by if you want to create an efficient user oriented site. From customized registration pages to stunning user profiles, you can create your membership site from scratch with ProfileGrid. 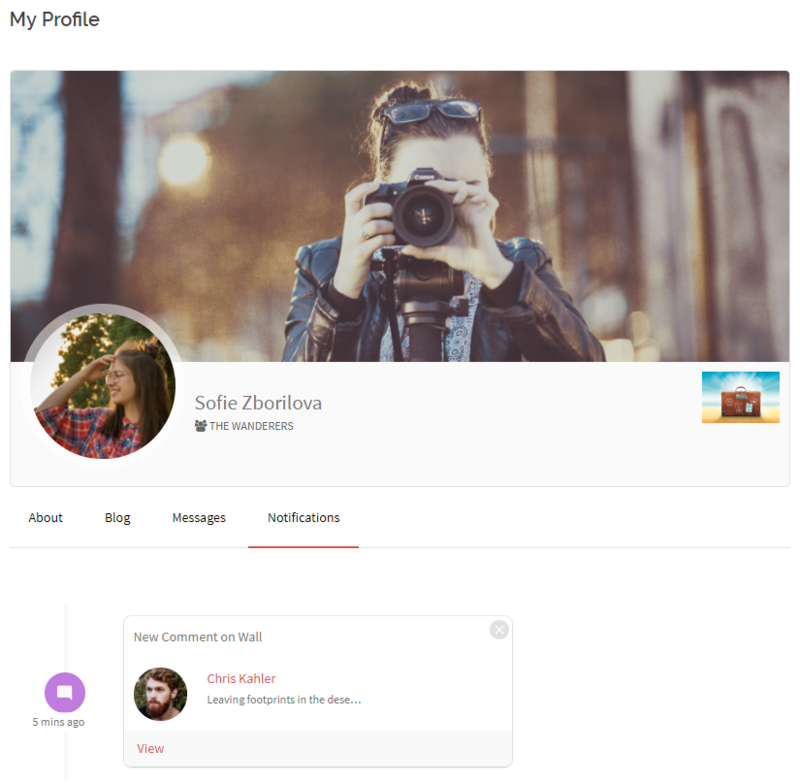 No need to design, or code, to build a profile page! Just paste the plugin’s predefined shortcodes in a new WordPress page and create a profile page on your site. In order to allow user to submit post and upload media to their group walls, we will take the help of ProfileGrid shortcodes. Right after installing the ProfileGrid plugin, you will find the ProfileGrid menu appearing on your WordPress dashboard. From there, click on the Shortcode link. You will land on a page solely dedicated to ProfileGrid shortcodes. There are different predefined shortcodes serving different functions here, making your job as easy as it can be. In the above image, see the Group Wall shortcode tab. We need to activate it first, since the Group Wall shortcode comes as an extension of this plugin. Only after activating this extension, will the shortcode appear on the Shortcodes page. This plugin allows you to add registered users in WordPress user groups and with the extension, each group can have a Group Wall. Now, copy the [PM_Add_WallPost] shortcode and paste it in a new WordPress page. Then, publish the page. Next, we will go to the Extensions page of the plugin and visit the Group Wall Settings page. 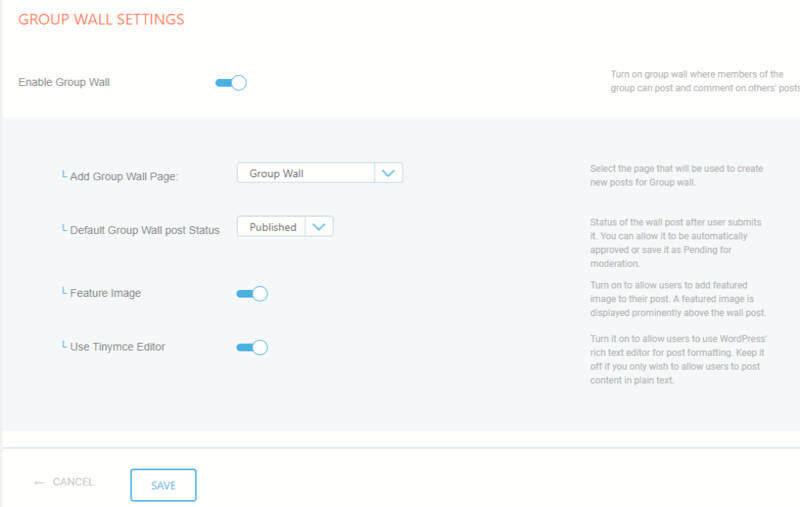 From the Group Wall Settings page, enable the Group Wall toggle. Here, you also need to select the page that you just created beside the Add Group Wall Page drop down. There are options to enable Feature Image and Use TinyMCE Editor. Configure the necessary settings and then click on the Save button. Now, finally, you will be able to see your Group Wall on the frontend of your site. You can see the group wall is complete with Image Upload options. There are numerous options to format text add links etc. Any member from the same group can share posts and add comments on the Group Wall. When a comment is added to a post, the author will receive notification. Also, the author can delete any comment on his/her post. Authors can remove an entire post along with its comments. However, a Group Leader can remove any post by another member of the group. Members of the same group get a notification on a newly added post and they can delete any of their comments on another members’ post. In short, the Group Wall becomes the center for social activity for a user group on your site. At the beginning of our article, we were saying that you could bring together like-minded people with your membership site. Now, in order to gather revenue with this process, you an charge a base amount of membership, to start with. Next, suppose you create separate groups in your site for photographers, musicians, bloggers etc. When you allow user to submit post and upload media you can make these users sell their content. And in order to sell, they have to share a sum of their price with you. Track your membership site analytics. This will let you ensure that your members are satisfied and are not unsubscribing regularly. Engage Google Analytics on your site it has some clever tricks to analyze site searches, keep a track of user conversions etc. The ProfileGrid plugin also allow users to subscribe MailChimp list in your membership site. This way you can share your updates, daily blogs etc to your users. When you maintain a pack of subscribers on your site they only will act as your marketing tool. They can spread the word through social media and attract more users. However, your site has to have that magnetism to pull new users. Moreover, when you take help of ProfileGrid to build your site it is bound to be interesting. Since this plugin opens up wide possibilities for your site. From bbPress, WooCommerce extensions to Stripe payment methods – the sky is the limit with ProfileGrid! You don’t even need to code or design pages it comes with its own default pages where you have to just paste the shortcodes. It allows even amateur site developers to create their dream membership sites. Added to that, it is pretty much a lightweight plugin considering its string of heavy duty features. Lastly, it is fully compatible with almost all themes and other third party plugins giving you full liberty to format your site. In order to know more about the features of ProfileGrid and stay updated about its latest updates do visit our Facebook page. Hi ! Great, really great plugin ! I dit buy the bundle of extensions… but a question… What if I did want to allow sending pdf or .doc text ? Thanks for your feedback and it’s great to know that you like our plugin. As for your question related to sending PDF or DOC files, could you please further elaborate the requirement for our better understanding. Do you wish to upload the files directly to the post perhaps? It is possible to create blog categories and show and search by those categories? ProfileGrid only provides tags, and not categories, for User Blogs. Can i upload video in wall group? The feature to allow upload of videos on group wall is on our road-map for future releases, but not available as on now.